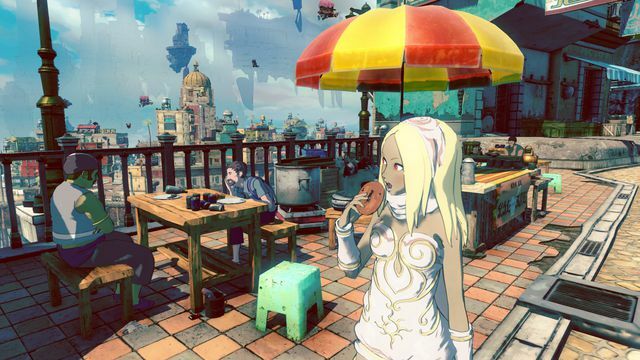 Gravity Rush 2, the PlayStation 4 sequel to the cult favorite, physics-based PlayStation Vita platformer, will launch on Jan. 20, 2017. That’s six weeks later than planned; the game was set for a Dec. 4 release. In a post on the PlayStation Blog, director Keiichiro Toyama apologized for the extra wait time, although he failed to explain why the game was delayed into the new year. Instead, he pledged that all players would receive a set of story-based downloadable content for free as a consolation gift. The DLC was originally set to be available at a premium; instead, it will come free with the game in January. As for the previously announced companion anime, more information on its release is coming soon, Toyama said. We played Gravity Rush 2 at E3 2016 and had a blast, calling it one of the show’s hidden gems. We also checked it out more recently at Tokyo Game Show 2016, where we were again taken with protagonist Kat’s space-bending powers and the game’s unique, comic book-style aesthetic.